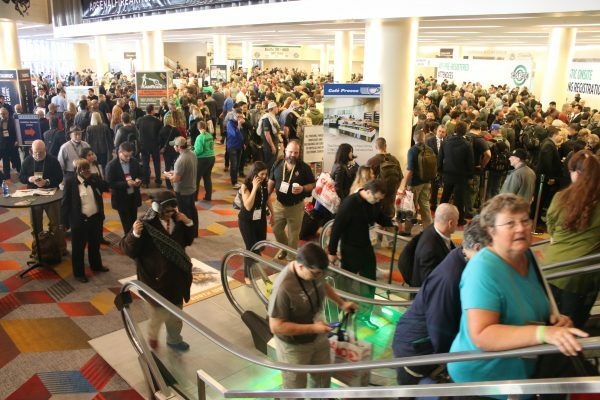 This time last year when the firearm community gathered in Las Vegas for the annual Shooting, Hunting and Outdoor Trade Show the tone was decidedly negative. Preparing for a likely Hillary Clinton administration in the White House, firearm advocates were preparing for a fight on their hands to preserve their rights under the 2nd Amendment. Clinton was campaigning in part on strengthening criminal background checks and limiting action to assault-style firearms such as the AR-15, which was outlawed during her husband’s administration under the assault weapon’s ban. But this year the mood has changed. With the inauguration of Donald Trump on the final day of the conference on January 20th, gun rights advocates believe they have a friend in the White House. “Just a few short months ago, I had absolutely no idea what kind of speech i would be making tonight,” National Shooting Sports Foundation president and CEO Steve Sanetti told a crowd gathered for the State of the Industry dinner on Tuesday. But Sanetti warned against becoming complacent.